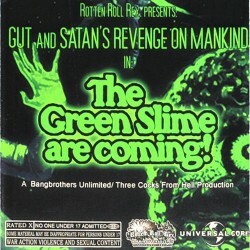 18 Satan’s Revenge On Mankind – Got Guts? Recorded, mixed and mastered at “Die Lobby” ov The Lobby Union, Alberestat im Friesenfeld by SxRxOxM. All songs previously unreleased material from the Supreme Malicious Necro Terror Sessions.